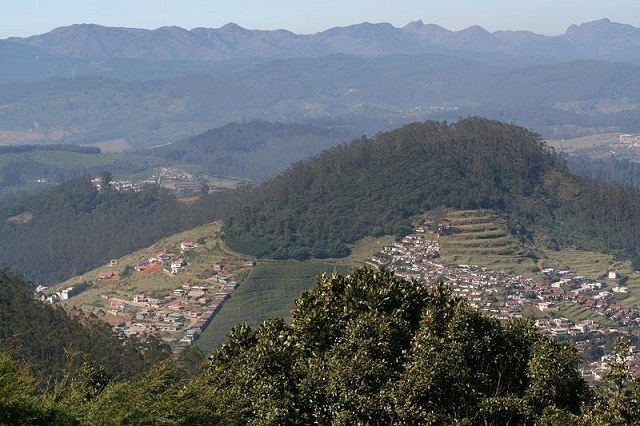 Standing at an altitude of 2623 m above the sea level, Doddabetta Peak is the highest point in the hill station from where one can savor panoramic views of Ooty and its surrounding places including highlands of Mysore and plains of Coimbatore. Just 10 km away from the main city, Doddabetta Peak is known to be one of South India’s highest peak that is quite popular amid tourists too. Do not forget to click some memorable photographs here. On a clear day, the views are even more mesmerizing. There is also a Telescope house (with 2 telescopes) at the Peak, managed by the Tamil Nadu Tourism Development Corporation so that the tourists can get a better view from the top. A trek up to the Peak is not a challenging one. The peak is enveloped by a reserved forest area that has several endangered species of flora and fauna. Spread in an area of 22 hectares of rising slopes on a hill, the well-maintained Botanical Gardens are placed at an altitude of 2400 m above the sea level. Arranged by the Marquis of Tweedale in the year 1847, it is one of the main tourist attractions in Ooty. The garden is a treasure trove of lovely shrubs, flowering trees and rare colored lilies. Maintained by the Horticulture Department of the Government of Tamil Nadu, there are well- maintained verdant lawns, a monkey’s puzzle tree, a 20 million year old fossil tree, a huge variety of flowers, plants and bushes, an Italian - style garden bordering, a fern house with a vast variety of orchids and ferns, a pool and more. Apart from tourists, the park is widely popular amid students studying plant science. The garden becomes the venue of Summer Festival, which is held here every year in May. The first bungalow built in Ooty, Stone House was commissioned by John Sullivan (the founder of Ooty) in the year 1822. The official residence of the Principal of the Government Arts College of Ooty in the present times, it was called Kal Bangla by the Tribals from whom Sullivan had acquired the land for constructing this structure. In the front of the bungalow is a tree, called the Sullivan’s oak. 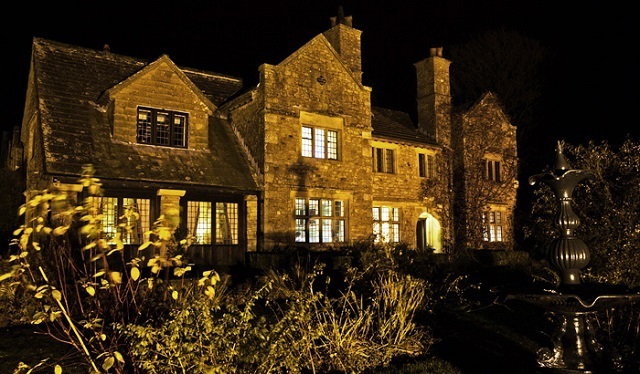 The architecture of this bungalow is quite similar to a British Cottage. The roof has a slanting hut-like shape that is colored green. The area around the bungalow is covered with lichens, pine and orchid trees. 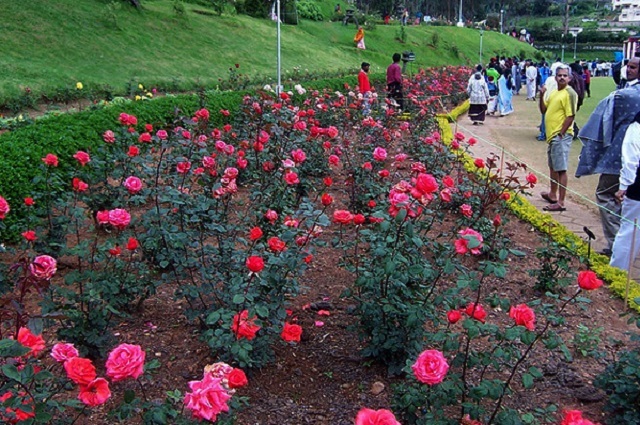 Lying in the heart of Ooty, Rose Garden or the Centenary Rose Park covers a lush land of 10 acres. Maintained by Tamil Nadu Horticulture Department, the garden is spread in the form of a terrace with bowers, tunnels and pergolas. In the year 2006, the garden has been the winner of ‘Garden of Excellence’, awarded by the World Federation of Rose Societies. The garden boasts of housing the country’s largest collection of roses with over 3600 Varieties like miniature rose, hybrid tea rose, ramblers, floribunda, roses in several colors including green and black. The different variety of roses here have been brought from different places. The park is open from 8:30 AM to 6 PM. Rose Garden is the largest rose garden of the country. 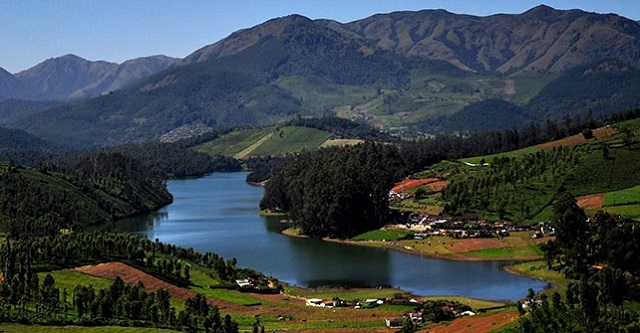 Placed near the Railway station, right behind the Central Bus Stand of Ooty, the very popular Ooty Lake is an L-shaped lake with a length of 2.75 km and a width varying from 100 m – 140 m. An artificial lake, it was established between 1823 and 1825 by John Sullivan. The mountain streams from the Ooty Valley provide water to the Lake. The Lake originally was filled up the present-day market and only ferries were used for commuting from one side to another. As the lake shrunk- bus stand, race course and mini garden came up. The farthest end has the Boat House offering boat rides, from 8 AM to 6 PM. There is a Children’s Park too here that has a toy train. From the Lake, you can treat your eyes to the lovely views of the encircling shrubs and eucalyptus trees. Right adjacent to this attraction is a deer park. Local ponies are also available outside the boat house for you to enjoy ride. 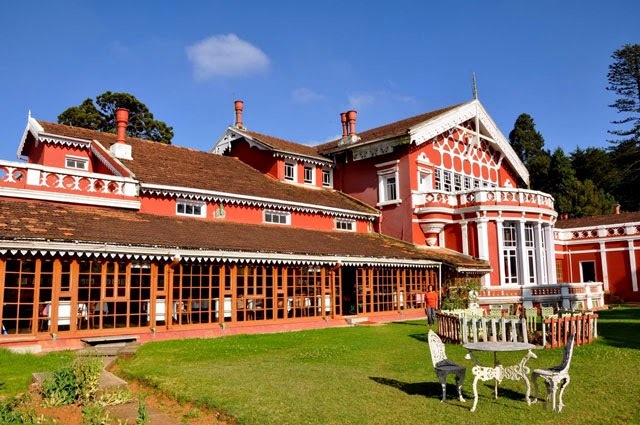 The erstwhile summer residence of the Maharaja of Mysore, Fernhill Palace has now one of the finest heritage hotels in Ooty. Replicating the structure of a Swiss Chalet, this bungalow was constructed in the year 1844 by Capt. F. Cotton. The property spreads in 50 acres of lush land and comprises of 19 spacious royal luxurious suites. Guests can enjoy a comfortable stay in amidst world-class modern conveniences clubbed with impeccable regal hospitality. Ornamental cast iron and carved wooden bargeboards add a character to the Palace. Fir and cedar trees in the manicured gardens of the property look beautiful. Within the premises, there is an indoor badminton court and a church too. Built by the British in the year 1908, the Nilgiri Mountain Railway in Ooty is a UNESCO World Heritage Site. Also called the ‘Toy Train’ of Ooty, it was operated by the Madras Railway in the beginning. This railway still runs on steam locomotives and is a major attraction, equally popular amidst children as well as adults. The Nilgiri Passenger train during its journey covers a distance of 46 km, traversing through 16 tunnels, 250 bridges and 208 curves. This journey is covered in a duration of around 4.5 hours. This route also consists of the steepest track in Asia. The Nilgiris toy train connects Ooty to Mettupalayam where one can treat his eyes to the mesmerizing natural surroundings. Covering an area of around 1 acre of land, the Ooty Tea Factory lies amidst the blue hills of Nilgiris. Located at a distance of 4 km from city center, this tea factory is placed at an altitude of 1839 m above the sea level. 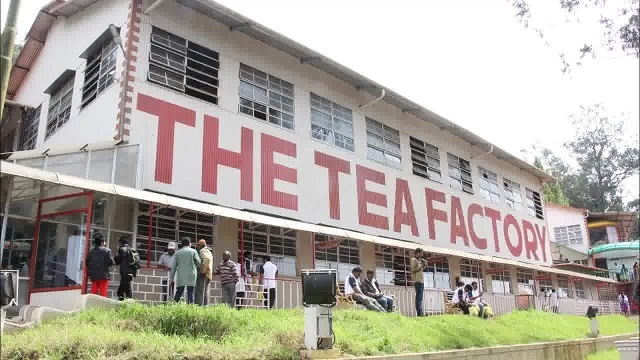 This factory also has a museum where one can get to known about the origin of several types of tea leaves, which are used all around the world. The museum also offers information about the history of tea in India as well as its start-up in the Blue Hills. Visit the processing unit where you can learn the complete processing method, from cutting to twisting to curling and finally packaging. If you love tea, do not miss this place. The tea factory of Ooty also has a small souvenir shop from where you can get on interesting tea keepsakes such as tea cups and plates with Tea Museum emblem. You can also get your hands on special homemade chocolates like fruit and nut, rum and raisin, sugar-free chocolate, milk chocolate and more. Do not miss relishing a hot cup of tea while enjoying the lovely surroundings. 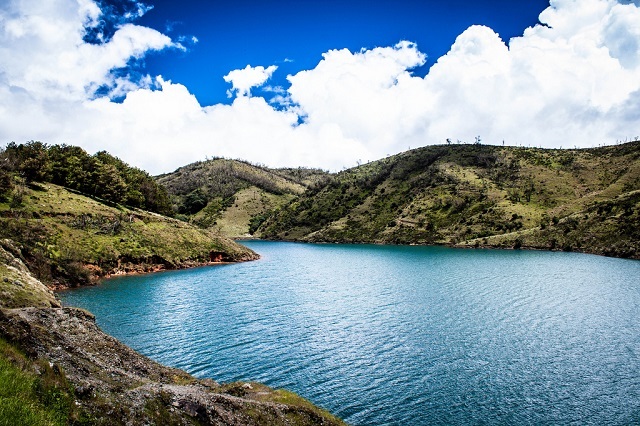 Around 28 km from the main hill town, Avalanche Lake is a must-visit attraction in Ooty. This lake got its name due to of a huge avalanche (landslide) that happened in the area in the starting of 1800s. Mountain trekking is one of the most popular activities here. The Lake was formed naturally after this event. Waterfalls streaming down from the bounding mountain offer a lovely view. The Lake, also known as Avalanchi, is surrounded by thick forests. During the monsoon months. One can enjoy trout fishing here. Camping at the shores is another popular activity amid tourists. Prior permission is required from Ooty’s forest office, as the lake lies in the Nilgiri Biosphere Reserve. Placed on the south eastern curve of the Nilgiris Plateau, the Mukurthi National Park is spread in an area of 78.46 square km. A decent population of the Nilgiri Tahr calls this national park their home. Other important animals are the endangered species like Asian Elephants, Nilgiri Langur, Nilgiri marten and Royal Bengal Tiger. Even the vegetation seen here is quite similar to the ones found in the higher altitudes of Southern India. A part of the Nilgiri Biosphere Reserve, the first International Biosphere Reserve of India, this park is a UNESCO World Heritage Site. 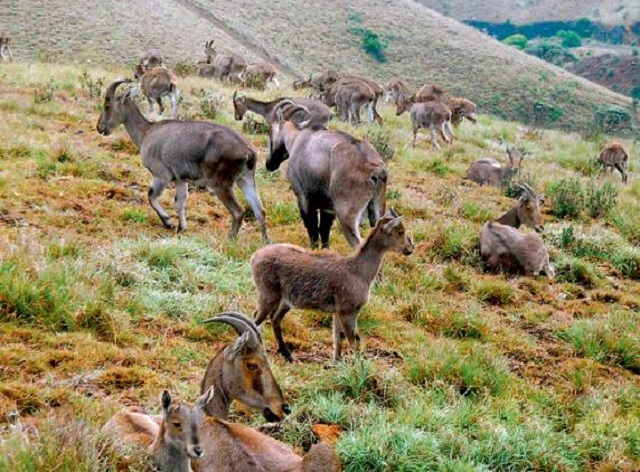 As the park was founded for the protection of Nilgiri Tahr, it was originally known as Nilgiri Tahr National Park. Placed in the upper plateau region of the Nilgiri hills, Emerald Lake is one of the most popular attractions in Ooty, which is 25 km away. Lying in the Silent Valley region, it is placed adjacent to the Red hill nature resort. The lake is popular as a picnic spot. Visitors can spot ducks and colorful birds here. Sunrise and sunset by the lake are memorable. Verdant tea plantation surround the Lake. Do not miss clicking photographs here. Enjoy fishing, bird watching and biking around the lake. 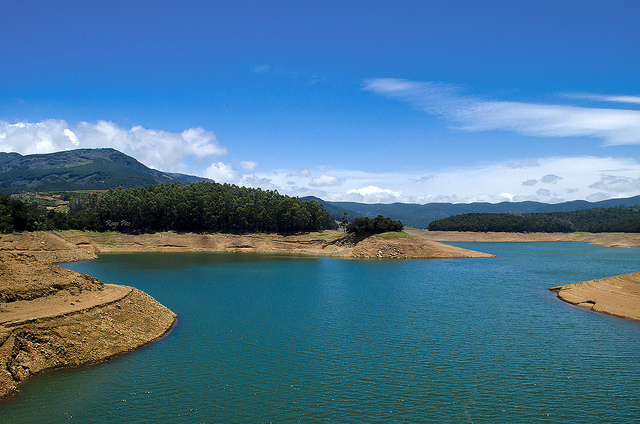 Also known as Sandynalla reservoir, Kamaraj Sagar dam is an ideal spot to plan a picnic in Ooty, amidst the lofty Nilgiris. Frequented by locals as well as tourists, it is an artificial reservoir that is formed quite close to the dam. The beautiful scenic surroundings have been captured in a number of movies. Savor the peace that is spread all around. One can also indulge in fishing here. Do not miss clicking some memorable photographs here. The dam is located 10 km away from the Ooty bus stand. 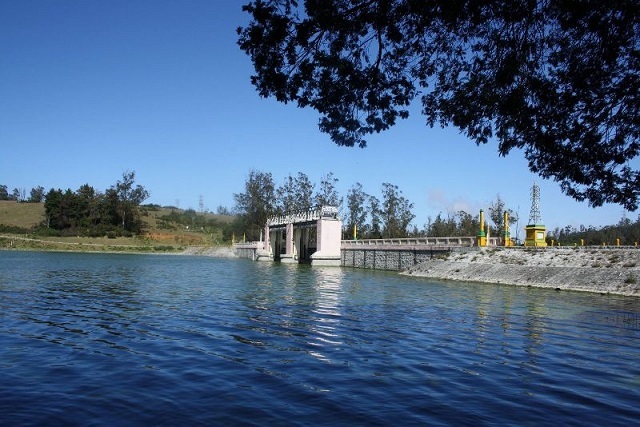 A popular tourist attraction in Ooty, the dam is placed in Kandala town. 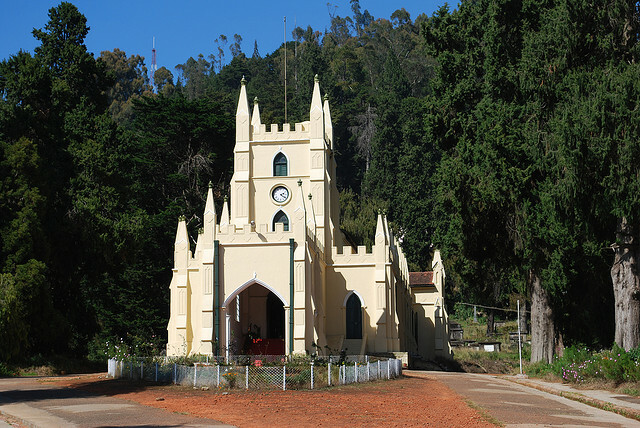 One of the oldest churches in the Nilgiris, St. Stephen’s Church was erected in the year 1829. Placed in a picturesque location of being surrounded by lush greenery, this church has used timber, stained glasses and main beam right from the palace of Tipu Sultan. The architecture and carvings of the church are wonderful. The foundation of the church was laid down on 23rd April 1829 by the Governor of Madras Stephen Rumbold Lushington who felt that there was a need of exclusive British Church in Ooty.The date was chosen to match the birth date of King George IV. The sanctification of the church was done on 5th November 1830 by John Matthias Turner, Bishop of Calcutta. Placed an altitude of 7000 feet above the sea level, Ooty Golf Club spreads itself in an area of 195 acres of lush green land. 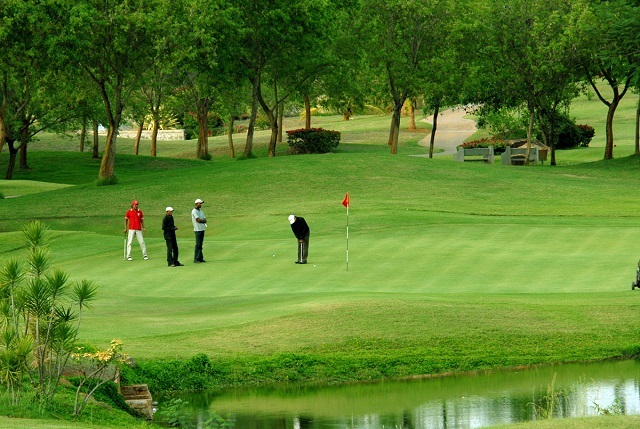 Owned and maintained by the Gymkhana Club, it is a must-visit attraction of Ooty if you are a golf enthusiast. An 18-hole golf course, it is sprinkled with oak, fir, eucalyptus and rhododendron trees. The golf course was founded by the then Secretary of the Blue Mountains Tennis and Cricket Club, Colonel Fane Sewell, in March 1891, with 9 holes. This golf club becomes the venue of a number of golf tournaments. Except on the days of tournaments, the golf club is open on all the days of the week. Well-equipped, spacious cottages and deluxe cottages are available as accommodation. River Pykara flows from Ooty to Mysore, forming Lake Pykara in Ooty. The lake is around 20 km away. Bounded by Shola forest, the lake boasts of immensely beautiful scenery. At the end, the River gushes down from 2 varied heights, one from 55 m and the other from 61 m. The name given to these falls is Pykara falls, around 1.5 km away from the Lake. The shores are a popular picnic spot, frequented by locals as well as tourists. Boating facility is also offered by the Tamil Nadu Tourism Development Corporation. There is also a restaurant, a boat house and a rest house. Enjoy leisure walks and fun activities. Located at a distance of just 2 km from Ooty amid the Nilgiri Hills, Mudumalai Wildlife Sanctuary spreads over an area of 32,155 hectares. Placed on the confluence of the Western and Eastern Ghats, it is also a popular Tiger Reserve. The first sanctuary in South India, it was founded in 1940. 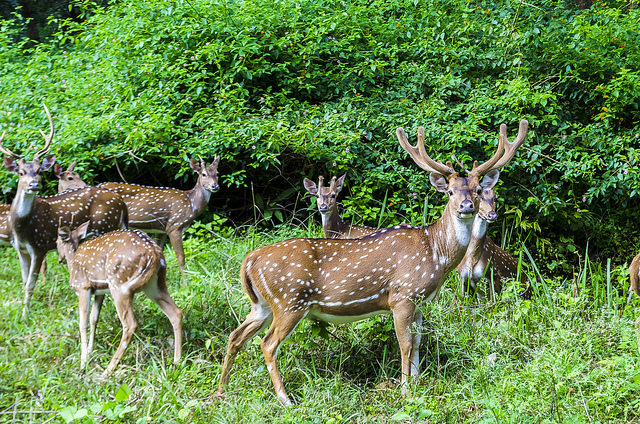 One of the best wildlife sanctuaries in India, Mudumalai is home to exotic wildlife species such as Mouse deer, gaur, barking deer, elephants, tigers, spotted deer, sloth bear, jackal, Bulbul, Brown Dove, Mynahs, bonnet macaque and more. Apart from wildlife, the park’s vicinity also has Mayar waterfalls and Theppakadu Elephant camp. In this camp, there 23 elephants where elephant lovers can have enjoyable sessions. Trekking is another popular activity here. 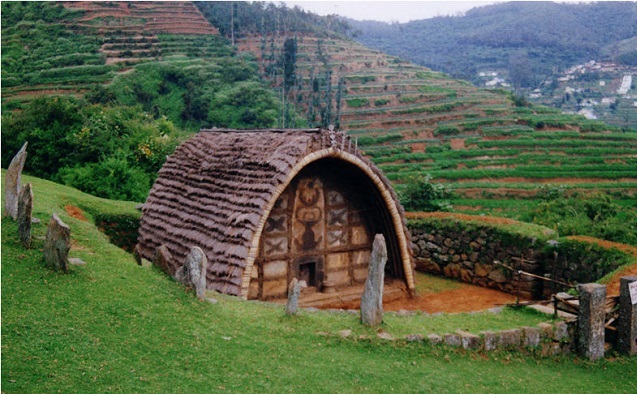 Toda huts in Ooty are a representation of the original residencies of the aboriginal people of Ooty. These remaining citadels of the Toda people are positioned in the Botanical Garden. Todas were the original residents of Ooty before it came under the rule of the East India Company. These huts, though no more are the homes of these people, but they are a proof of interesting ethnic architecture of South India. These dwellings are inverted u-shaped huts that has no windows but a small entrance. 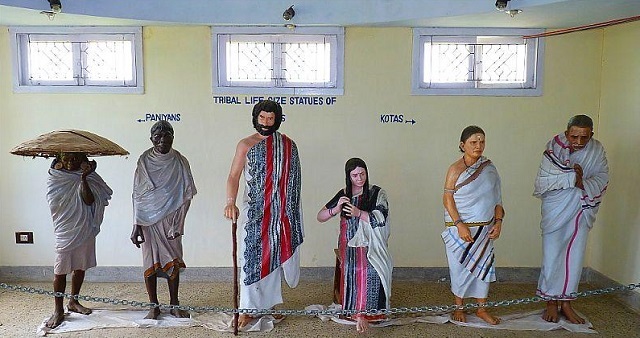 A part of the campus of Tribal Research Center, the Tribal Museum Ooty is a popular tourist attraction of the hill town that showcases the culture and the remnants of the aboriginals of Tamil Nadu and, Andaman and Nicobar Island. The museum also has a collection of some rare artifacts that belonged to the tribes in the Nilgiris. This museum is located on the Mysore Road. The timings of this museum is 10:00 AM to 1:00 PM and 2:00 AM to 5:00 PM. The Government tribal museum is just 10 km away from the main city. Houses of Kota, Toda, Paniya, Kurumba and Kanikaran tribes are also on display here. 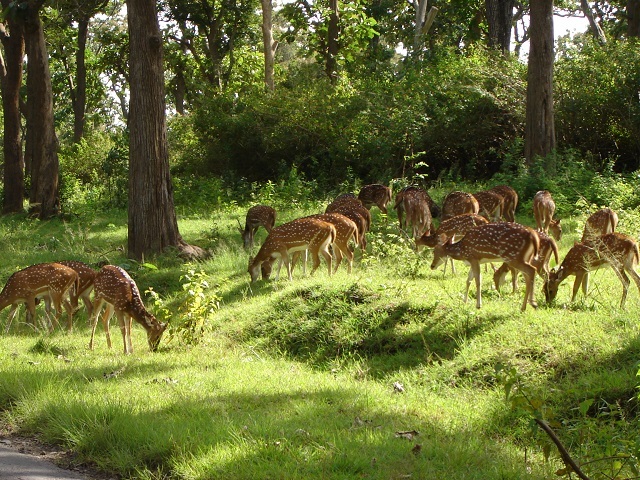 Located around 1 km away from of the Ooty Lake, Deer Park is one of the most popular tourist attractions of Ooty. A beautiful animal park, it is an ideal place to see flora and fauna in its natural habitat. Though the complete area is 22 acres, 6 acres is open for general public. Founded in the year 1986, this park is maintained by the Tamil Nadu Forest Department. This park houses a decent population of Sambar Deer species, along with other animals and birds such A Chital, Rabbit, Hare etc. One of the most popular wildlife reserves in India, it is perched at an altitude of 2240 m above the sea level. The park also has a rich collection of floral species and several kinds of trees. 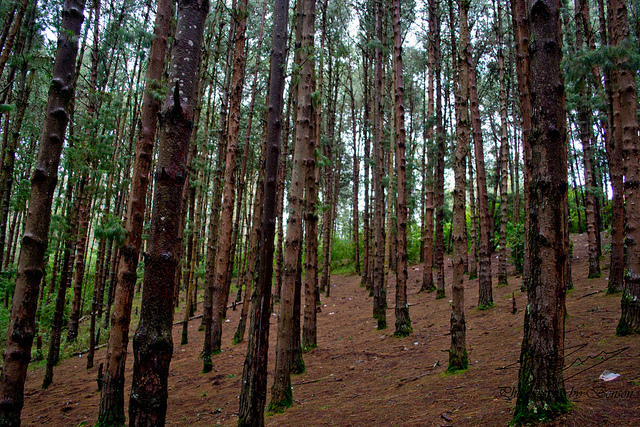 Featured in a number of Bollywood movies such as Saajan, Sadma, Deewana, Dil and Qayamat Se Qayamat Tak, the pine forest of Ooty is blessed with lush and serene environment. Sandwiched between Ooty and Thalakunda, this forest offers you a chance to spend some peaceful moments with your loved ones. The towering pine trees form a wonderful sight. These forests expand over a small downhill area and the orderly fashion in which the trees are arranged, the sight looks lovely. Colorful birds and butterflies can be spotted flying freely. Located at a distance of about 13 km from the hill town of Tamil Nadu. 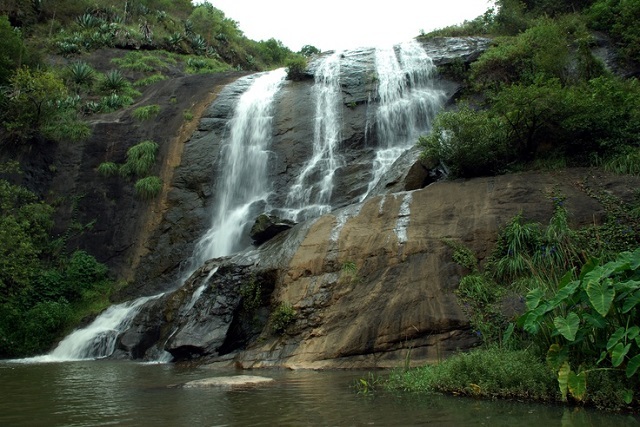 Kalhatti Falls is one of the best waterfalls in Ooty. Placed on the Ooty to Mysore Road or Sigur Ghat Road, the waterfall gushes down from a height of 1200 feet. The falls are near Kalhatti village after which one has to cover a distance of 2 miles on-foot. During the monsoon season, the waterfall cascades down in its full vigor. The place is also popular for activities like bird watching, hiking, and trekking. Do not forget to click photographs. Dedicated to warrior god- Lord Murugan, Elk Hill Murugan temple in Ooty is a replica of Batu Caves in Malaysia. Just outside the temple there is a 40-feet statue of the Lord in a standing pose. It is made up of brick and cement. 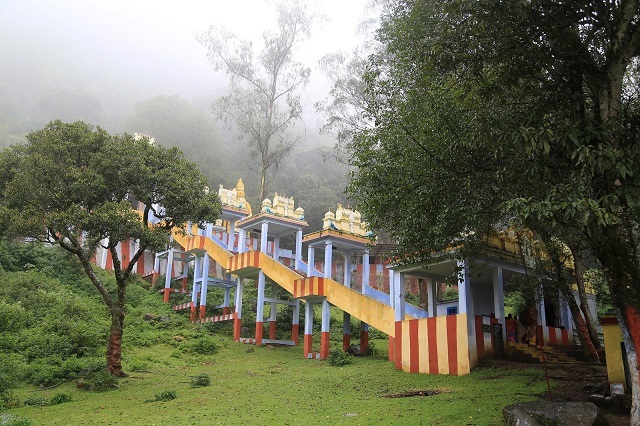 One of the most revered temples in Ooty, it also has idols of Lord Shiva, Lord Ganesha, Goddess Shakti, Nava Kanikas and Navagraha sanithanams. Placed on the Elk hill, this temple is surrounded by immense scenic beauty. Every year in the month of January, the temple becomes the venue of Thaipusam religious festival, which is celebrated in the honor of the Lord. A special dance form, Kavadi Attam is performed on this day. Milk in brass vessels is offered to the Lord Murugan on this day. Just 10 km away from the Ooty hill station in Coonoor, Dolphin’s Nose is a popular viewpoint of the region that offers a lovely view of the Catherine Falls. This viewpoint is perched at an altitude of over 1000 feet above the sea level. The viewpoint has been named so, as the unique rock formation resembles the shape of the nose of a dolphin. Sunset and Sunrise views from here are memorable. While going to towards Dolphin’s Nose from Ooty, Lamb’s nose is another viewpoint that comes in the way. The road journey is an extremely beautiful one but with hairpin turns. Treat your eyes to the lovely views of the lush plantations. 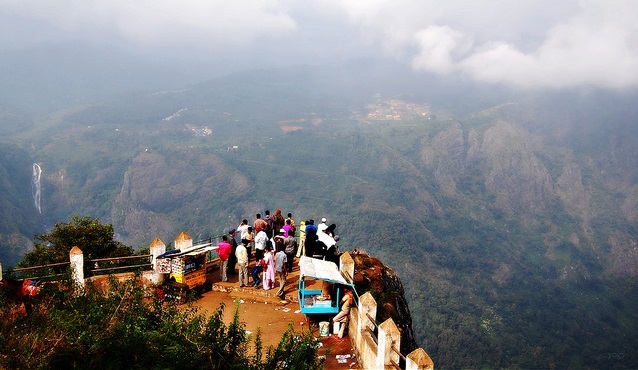 One of the best tourist attractions near Ooty, Lamb’s Rock is a popular viewpoint on the slopes of the Nilgiris in Coorg. Treat your eyes to the lovely views of the coffee estates, Hulical ravines, tea estates and the plains of Coimbatore. Named after Captain Lamb, the then collector, this viewpoint is one the way to Dolphin’s nose. The viewpoint is perched on an elevation of 5000 feet above the sea level amidst lush surroundings. The drive from Ooty to the Lamb’s Rock is a mesmerizing one with stunning sights. Trekking is another popular activity here. Do click memorable photographs. 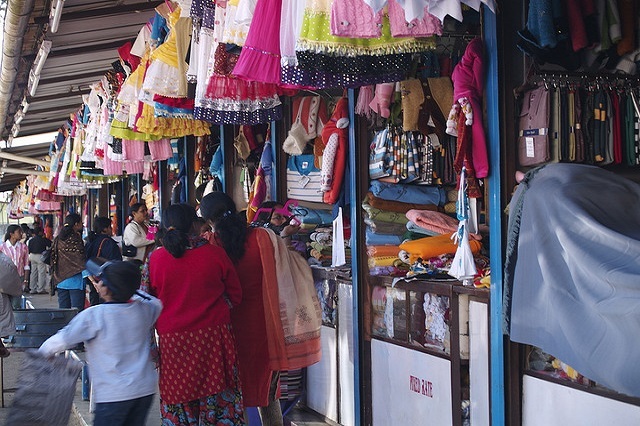 The hill town of Ooty is a nice place to indulge in shopping if not something really unusual. Commercial Road is one of the best places to shop where there are a number of government shops, Kashmiri shops and Khadi Gramodyog Bhavan. Ooty sells some excellent tea. You can not only get your hands on all varieties of tea but before buying you can even taste them. The locals farmers also sell special organic and honey products. Other popular items include handmade chocolates, aromatic oils, fresh spices, and cheese products. Toda handicrafts, Toda jewelry, and Toda shawls are must-buys. Trekking in Ooty is a memorable activity as you can also spot some predatory animal species as well. Hiring a guide would be a good idea. 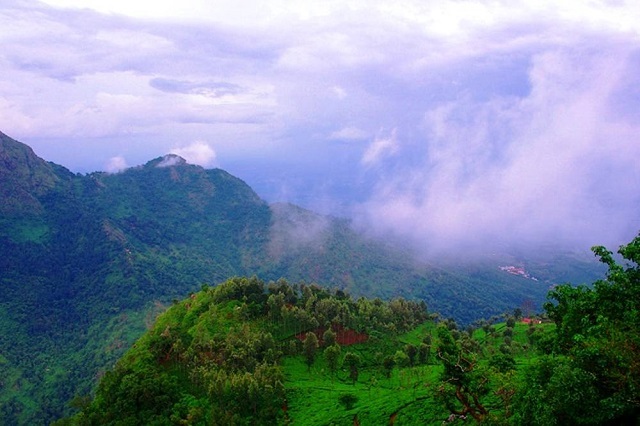 Apart from Ooty, trekking enthusiasts can also set their base at Kotagiri or Coonoor. Treat your eyes to the beautiful surroundings, let the fresh air brush past your face while you cover wonderful treks that are mystically hiding in the Nilgiris. The best time to enjoy trekking in Ooty is April to May and September to November. 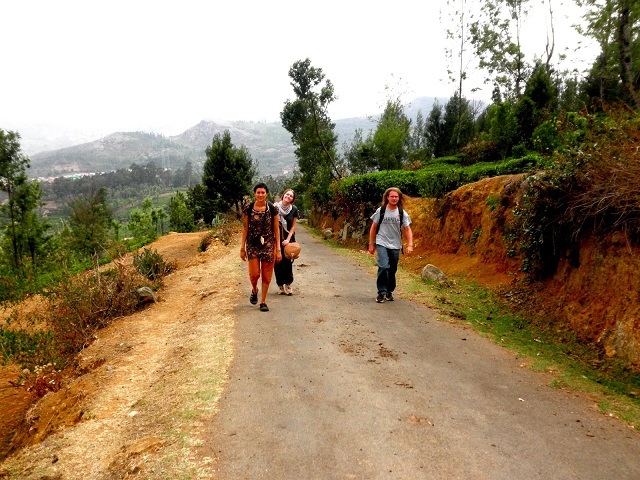 Nilgiris Green lake trek, Ooty Scottish trail and Mukurthi Trek are some of the popular trek route in Ooty. 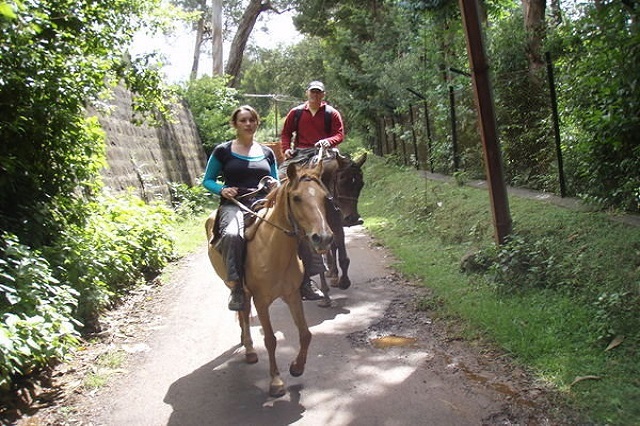 If you like riding on a horse’s back, Ooty is the best place to enjoy horse riding. The wonderful hilly terrains of this serene hill town are going to be charmers. The cost of horse riding for per person is somewhere between INR 50-150. North Lake Road is the best place to enjoy a horse ride. You can opt for a long ride or a short one. Organized by the Tamil Nadu Tourism Department and Ministry of Tourism in the month of January, the annual Tea and Tourism Festival attracts visitors from all around in huge numbers. As you enter the venue, a wonderful mix of aromas fills your nostrils. There are packed samples too so that you can taste and take them home. 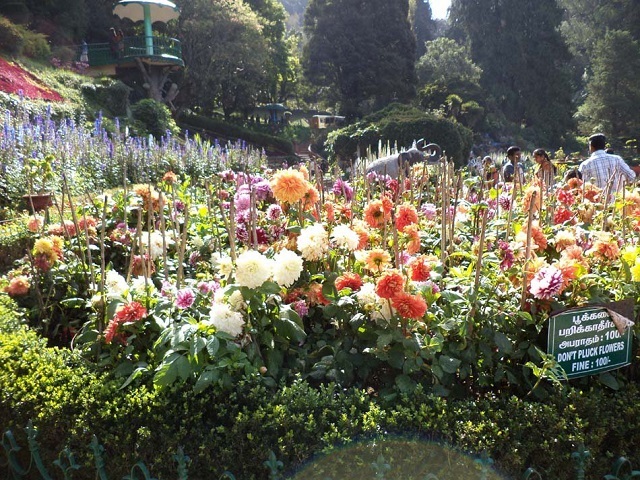 A major hit amidst locals as well as tourists, Flower show in Ooty is organized every year during the month of May. Organized at the Government Botanical Garden, this event showcases several types of flowers from all around the world. The first flower show here was organized way back in the year 1896. Over 150 cut flower varieties, over 50 kinds of potted plants, temperate and tropical fruits as well as vegetable are showcased by the competitors. The prime attractions of flower show of Ooty are Vegetable carvings, Bonsai, floral decorations, Indian and Japanese flower arrangements, Flower Rangoli and Cut flower stalls.